Many businesses these days build their online presence and reputation using social media. The main reason is that social networks put you in direct contact with a large number of people. That way, businesses can have a two-way communication with their target audience, while promoting their products and services. However, successfully leveraging social media to your advantage depends on how well you can drive engagement from your customers and how effective your strategies at capturing their attention are. The best way to create truly effective marketing campaigns is to conduct competitor assessment and find out how well they are performing on social media. Simply put, competitive analysis for social media is identifying who your competitors are and checking out their social media activity in order to assess the situation on social media networks. That way you can determine what you can do to improve your efforts and gain valuable strategic opportunities. Here are a few tips to perform a competitors’ assessment for social media strategies. One of your primary goals in competitive analysis should be understanding how your competition is using social media channels. Basically, that means stalking their social profiles and monitoring their activity. 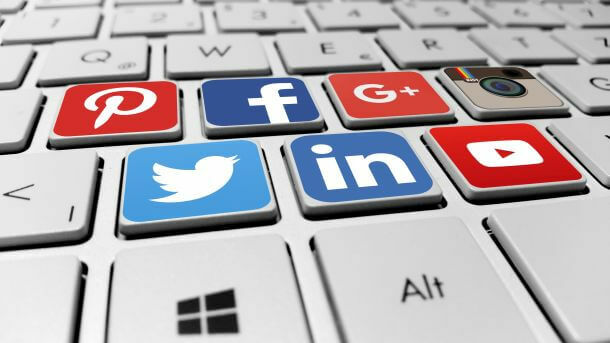 For instance: which social channels they use the most, how interactive are they with customers, as well as what strategies they use to drive business goals such as sales, customer satisfaction and engagement. Moreover, check out their audience, how they react to posts and how many likes, shares, retweets and other digital media KPIs they have. You can even pretend to be a member of the audience and start actively following your competition. That way you can run your own assessment and reach your own conclusions. Make sure you ask questions to identify how proactive and responsive you competitors are. Do they reply in person or do they use automation for responses and how long does it take to get a response? Most importantly, check out the content they use to drive customer engagement and how it resonates with their audience. Many businesses on social media leverage those platforms to provide customer service and support. What’s more, many businesses separate sales accounts from service accounts, in order to focus more on meeting customer needs and expectations. Therefore, you need to check how well of a service and support your competitors provide for their audience. Customer service is essential in building customer satisfaction – so, if your competitors are lacking in this field, it could be a great opportunity for you to step in and gain major advantage. What you need to look for is how helpful and willing to respond your competitors are. Furthermore, do they reply openly and publicly, or do they hide from criticism? How fast do they respond and how effective are they at sorting out the issues their customers have? Checking various customer satisfaction metrics will give you an opportunity to determine what your competitors do right and what they do wrong in order to improve your own customer service and support. Content is king in the marketing world and the same goes for social media. Your competitors are undoubtedly developing content to drive engagement from their target audience. The key, however, is determining what kind of content they use and how well does it perform on social media. For instance, how often does their content go viral and how many views does it generates? Also, are your competitors designing specific content for each social media channel they’re active on or are they simply replicating posts? What’s more, many businesses use blogs to generate content they’ll publish on social media. If so, check out how many competitors use blogs and how often they publish content. That way, you’ll be able to evaluate their content marketing strategy and improve your own. For instance, you may extend your reach with a guest posting strategy to drive engagement in your customers and encourage more social shares. Understanding your competitor’s strong and weak points will help you find a gap in the market where you can excel at. Moreover, you’re not out to copy your competition, but determine which strategies work on social media and which are falling behind. In addition, you’ll be able to gain insight into how to improve your own social media presence and efforts. As an example, a competitor’s strengths will show you what they do best and help you realize if it’s too complicated or too expensive to compete with them on that field. On the other hand, competitor’s weaknesses will show you points where they’re not performing so well, which you can use to mend your own mistakes and gain advantage. Once you’ve gained all the information on your main competition, you can easily improve your own social media strategies to drive more engagement from audience and increase the effectiveness of your marketing campaigns. Competitors’ analysis isn’t meant to help you copy strategies, but instead to find valuable insights on how to reshape your own, and ultimately improve it. Moreover, it will help you understand the current state of social media and how mayor players in your industry are using these platforms to communicate with their audience. By conducting competitive analyses, you’ll be able to identify means on how you can make a difference and stand out in the crowd.